Attorney Julian Sweet has earned a reputation as the preeminent attorney in Maine who represents plaintiffs in serious medical malpractice cases. His dominant record of trial victories, including two of the largest medical malpractice verdicts in Maine history, places him among the very best lawyers in the nation. For more than three decades, Julian has been one of the driving forces in building Berman & Simmons into the leading firm in Maine for personal injury and medical malpractice law. 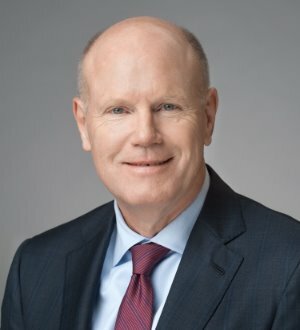 Since joining the firm in 1981, Julian has successfully handled personal injury and wrongful death cases, as well as hundreds of medical malpractice cases involving birth injuries, general surgery, orthopedics, neurosurgery, obstetrics and gynecology, and internal medicine. In 2001, he received a $9 million verdict in Cumberland County Superior Court, and in 2007, he received an $8 million verdict in Androscoggin County Superior Court. In both cases, Julian represented mothers whose babies suffered permanent disabilities because of negligence during labor. These landmark cases served notice to powerful healthcare organizations, hospitals, and doctors: When they fail to meet the standards of care, Maine has a law firm with the talent, determination, and resources to hold them accountable. Before attending law school, Julian worked in the field of social services, fueled by a desire to help the poor and those less fortunate. He pursued a career in law in order to continue that mission. A native of Connecticut, Julian represents clients from all across the state, and takes pride in representing families from rural areas including Aroostook, Franklin, Piscataquis, Oxford, and Somerset counties.